These are one of the candies I have the hardest time resisting when they make it home in the treat sacks on Halloween. There is just something about the flavor of the coconut plus the crunch of the almonds and richness of the chocolate. These are a crunchy candy bar with the flavors of an almond joy. 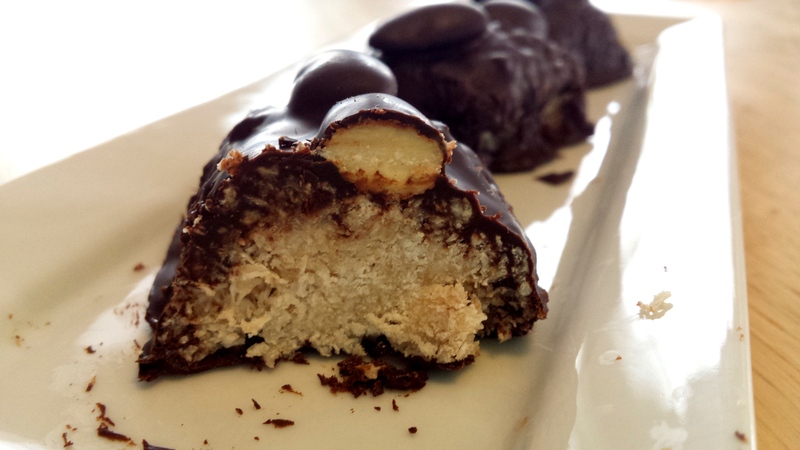 There are a few low carb versions floating around the internet but none of them looked enough like a real almond joy bar to me. I wanted a version that looked the part. Next time I might make my bars a little smaller so I get more out the recipe and have a better coconut to almond ratio. 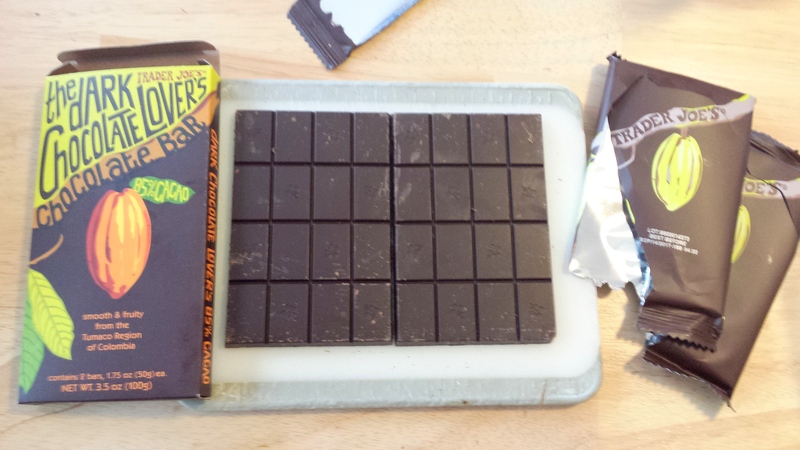 If you decide to make more than 8 bars you will need to have more than 3.5 oz of chocolate to cover them. 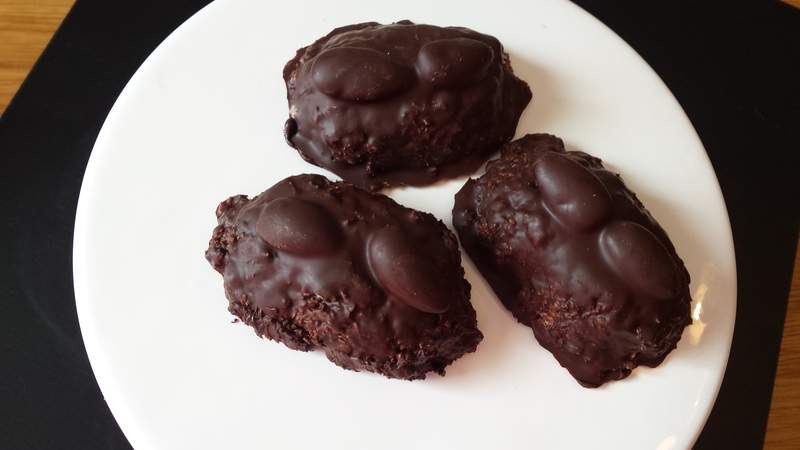 This recipe can be dairy free (check chocolate ingredients), sugar free, grain free, gluten free, low carb, and a THM S.
1/3 – 1/2 cup gentle sweet (my copycat recipe) – you can use 1/2 cup if you have a real sweet tooth but they were slightly too sweet for me using that amount. I’ll use 1/3 next time. 1. Melt sweetener over medium low heat. Remove from heat. Stir in vanilla, coconut, coconut flour, salt, and 2 T. coconut oil. Stir until oil melts. Set aside until cool enough to handle. 2. Dump out onto wax paper. Shape into 8 bars and press almonds into the tops. If it feels too dry you can add another tablespoon melted coconut oil. 3. Melt chocolate. I do this by breaking the chocolate bar into chunks and microwaving on high for 30 seconds. Stir. Microwave 30 more seconds. Stir. Repeat. Once it is 80% melted stop microwaving and just stir until it completely melted. 4. Drizzle chocolate on the top and sides of the bars. I used a pastry brush to get the bottom part of the sides. Refrigerate or freeze until the chocolate is hard. Flip bars over and coat the bottoms. They look prettier if you can manage to cover all the coconut but they are delicious either way. Edited to add: When they cooled they got crunchy. They are delicious but don’t have the chew of an almond joy. I’m going to experiment a bit more. I think adding some coconut milk will solve the crunchy/chewy conundrum. Edited to add again: It worked. 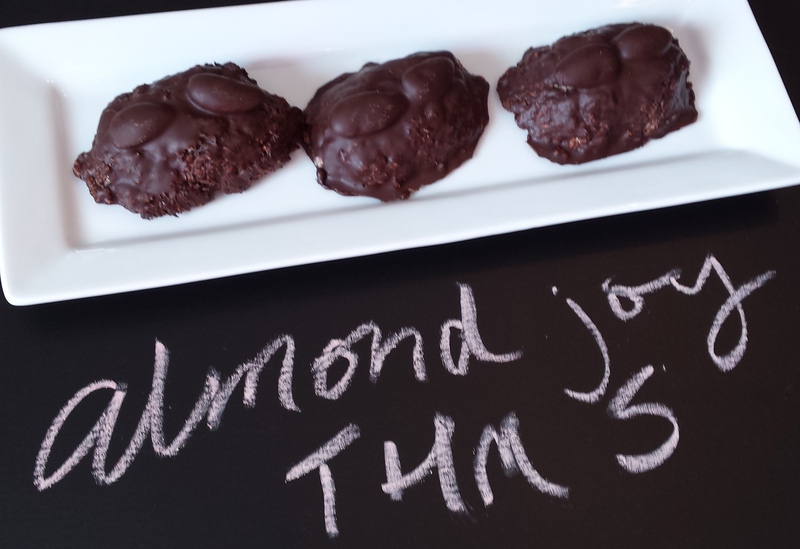 I now have moist chewy almond joys and will be posting that recipe within the next few days! Follow me on Facebook here or by clicking like in the Facebook widget on the right side of the page. Or get email alerts from wordpress by subscribing in the box on the right. Eager for edited recipe! My Hubby will love these. These sound really great! 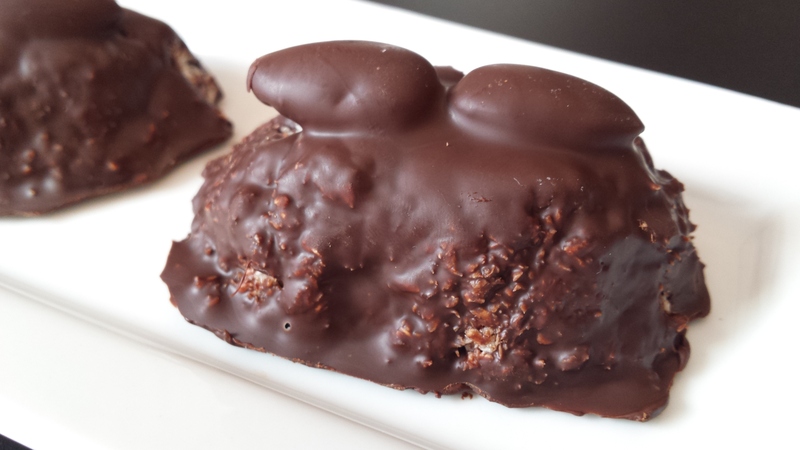 My Mom really likes almond joys and I would like to make these for her for easter. Would I be able to get your updated version with the coconut milk?